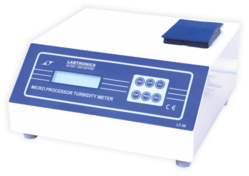 We offer wide range of digital turbidity meters With 16 x 2 Alpha numeric LCD Display having 2 ranges up to 1000 JTU with memory of storage of 2 standards to avoid frequent use of standard solutions. We are the preferred manufacturer and exporter of a wide range of DigitalTurbidity Meters. These meters used to test disposal and drinking water. Our products are known for its correct results and long life performance. 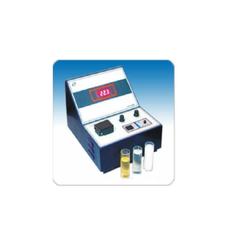 This Microprocessor Turbidity Meter/Turbidity Analyzer (table top) is extremely useful for measurement of suspended solids/turbidity levels in Sewage Water, Ground Water, Potable Water, Soil Analysis Laboratories, Fisheries, Water Quality Control in Boiler Feed Water, Water Works Department, Breweries, Water Purification Plants, Chemical & Pharmaceutical Industries, etc.